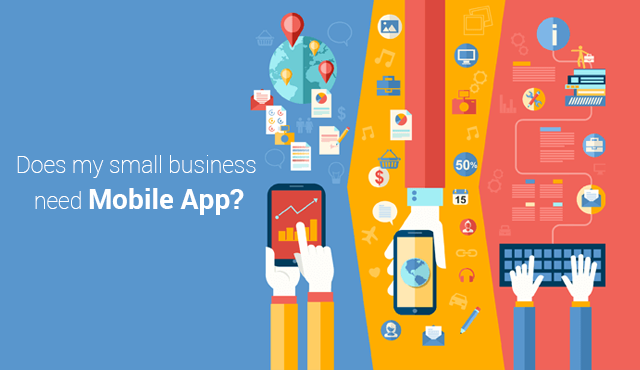 Skediatech | Does my small business need an app? Building a mobile app is a decision that a company has to take. No doubt it is a big decision having an appearance in the marketplace, because as they say the first impression is the best impression. The usual approach is to construct a website first and then consider the mobile application, yet how about we reconsider the norm. To assist in this decision we have developed a fine-tuned checklist which will enable you to conclude whether to develop a mobile app first or a website. 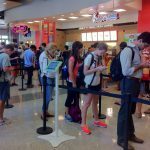 Now-a-days the average person spends more than two and half hours a day on their mobile device. So it is no doubt any longer that clients invest significantly more time using mobile media than they do utilizing desktops. If your start-up is absent from the mobile screen, it is missing more chances to associate with the correct clients. In the event that your clients are guests and may visit your application more than 5 times a day and expect a lag free service from you, it is insightful to go for a mobile app than a website. Websites can be slow to load and there may be poor browser connection, and a lost opportunity for push notifications. The app is generally faster, lighter, helpful and up to date. The mobile app will give you all of these highlights as it can have some offline features to give straight-forward entry to your client even with a poor web connection. It can be customized to give push warnings which keep the client connected and will increase the client visits to the application. With the use of a mobile app, you can undoubtedly provide users with some helpful data about your new product or service, rebate offers, or some other updates to entice them and increase your sales. Whatever the reason, everything comes down to the useful idea of the mobile app which joins all the data you’d like to provide to your customer. For instance, through push notifications, you’re getting closer to direct interaction, and can easily remind clients about your products and services whenever it makes sense. One of the most important things a mobile app offers to consumers is awareness and communication of your brand through regular interaction with your target market. The more your audience trusts you, the more likely they’ll engage. Skediatech app developers have expertise in developing apps for iPhone & Android. We are dedicated to provide mobile app development services at its best and proud to have a huge base of offshore client along with some of the top multi-national brands. You can come to us at any stage of your project – from just an idea to architecture, from development to quality assurance and support. Yesterday website’s becomes Today’s mobile app.